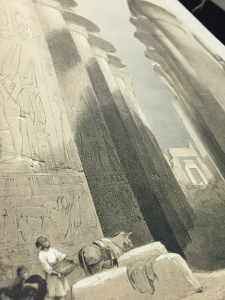 This entry was posted in Travel Thursday and tagged Aboo-Simbel, David Roberts, drawings, Egypt, illustrations, Karnak, lithographs, Nubia, rare books, sketching, travel. Bookmark the permalink. Wonderful stuff! Thanks for introducing. 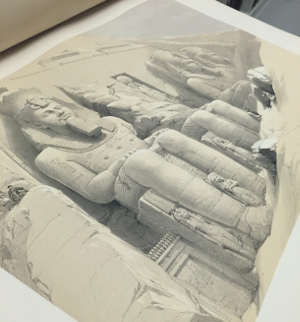 Is David Roberts’ work available digitally? 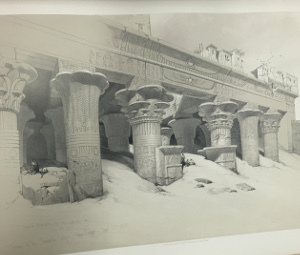 I would love to pore over his amazing photographs – and his drawings and paintings – in high resolution. Expect many people would! Thank you – happy to hear you liked the post! 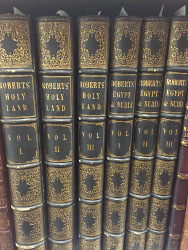 Unfortunately, we have not digitised Roberts’ works and I was unable to find a complete collection online. This list might be useful though. It links to some pieces which have been digitised by various museums and galleries – though I’m not sure if they are all high resolution. Thank you – I will check out the links! True, it would be quite a significant project! I’ll pass the suggestion along to our UMASCS Librarians.